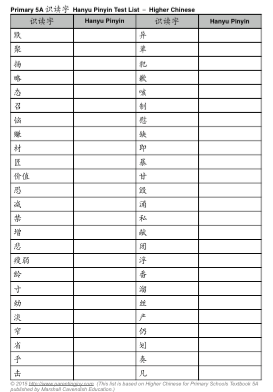 There is no Vocabulary Test list for P5 onwards because my son is using the Higher Chinese textbook and it does not come with the Chinese-English vocabulary list at the back of the book. Glad you find them useful. Let me know if you need other stuff.